Lived with the hand push reel mower for 8 months, and now it’s finally time to set it to rest. I had no problem cutting grass with a manual lawnmower. I can zip around the front yard and back yard quickly in no time. However, raking up all the grass just got to be a drag. Clean-up took longer than the actual mowing. So, I could either hire a gardener or try out an electric lawnmower. I got some quotes from a few gardeners and their price was much higher than I had expected. Gulp. 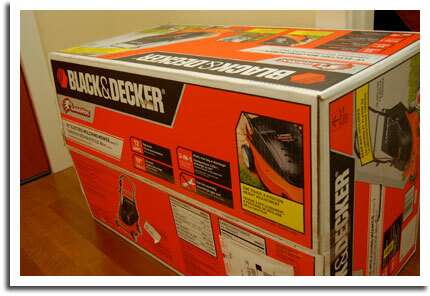 I followed Consumer Reports lead on this one and picked up a Black and Decker LawnHog. I also checked out the mixed reviews on Amazon, with most complaints focusing on the durability of the lawnmower. Without much other choices to pick from, I went ahead with the purchase. 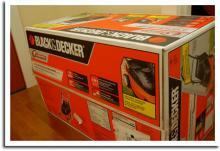 Now, the box that the lawnmower came in was big and heavy. That’s as good a reason as any to order from Amazon. The UPS guy dropped off the box at my front door, and the lawnmower has been waiting for some action since then. If I have some free time this weekend, I’ll unbox the lawnmower and test it out.